Since 1976, L.A. Spas has been the world’s industry-leading quality manufacturer of custom made hot tubs. With L.A. Spas' proprietary energy efficient Ultimate Water Management System, your hot tub will be crystal clear 365 days a year. L.A. Spas' ergonomically designed seats, jet performance, and immediate stress relief are just a few ways you’ll know you own the very best. Quality, reliability, and performance – reasons why L.A. Spas can provide you with ultimate Adventures in Hydrotherapy! We can work with you and or your designer to build a custom designed spa for your home or commercial property. 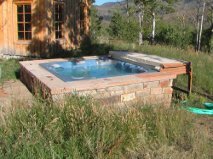 Custom hot tubs can be designed to suit your individual design ascetic and your needs whether it be a spa for private use or a high volume commercial hot tub. It is important to us that your time in your hot tub be as worry-free as possible. We can set up a service contract to best suit your needs and to keep your spa as clean and safe as possible. We work with you or your management company to set up checks that can vary depending upon the frequency and amount of use your hot tub receives. 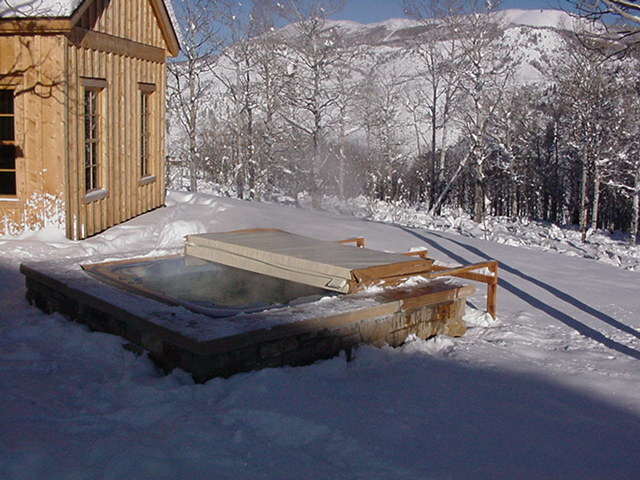 Bryan and Amy McLachlan started SnowShoe Hot Tubs with one thing in mind and that was to provide the best possible service for our clients. Whether you are looking for a service contract, a repair on your current hot tub, or a new portable, custom or commercial spa, we can meet your needs. We serve Summit County including Breckenridge, Frisco, Dillon, Keystone, and Silverthorne. Have a tub that looks like this. 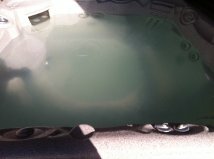 Is your tub not running correctly.